Spot gold prices gyrated around the $1,200 per ounce level on Friday after the U.S. Labor department reported that more U.S. jobs were created than expected in February. The latest non-farm payrolls report revealed 235,000 new jobs were created, above expectations for around 190,000 new jobs. The data gives the green light for the Federal Reserve to hike interest rates at its March 15 meeting, economists said. "The 235,000 gain in non-farm payrolls in February will erase any lingering doubts that the Fed might not hike interest rates," at the March meeting said Paul Ashworth, chief U.S. economist at Capital Economics. The official unemployment rate was unchanged at 4.7% in February. There is already evidence that the low unemployment rate is putting upward pressure on worker's pay. Notably, average hourly earnings edged higher to an 2.8% annual growth rate in February. Wage growth is considered to be an inflationary signal and provided support to gold in the wake of the jobs release. Bigger picture, the gold market has been under pressure since late February, falling from the $1,258 an ounce area to the $1,196 area just ahead of the jobs report. However, the gold market actually spiked higher to the $1,207 level after the report was released as traders reacted to the increase in average hourly earnings. A Federal Reserve interest rate hike has been priced into the gold market on the recent decline from the $1,258 area. Market expectations have shifted dramatically over the last month in regards to a March interest rate hike. One month ago, the MNI PINCH (Probability of Interest Rate Change) indicator revealed at 16.9% expectation for a Fed rate hike on March 15. Just ahead of the jobs report release, those expectations had skyrocketed to 85.5%. Typically, Federal Reserve interest rate increases are thought to be a negative factor for gold as the yellow metal pays no interest. Higher interest rates compete for investor's assets and are thought to detract interest in the gold market. Current conditions, however, reveal that investors are purchasing gold for others reasons besides the low interest rate environment. Wall Street analysts remain bullish on the prospects for gold in 2017. 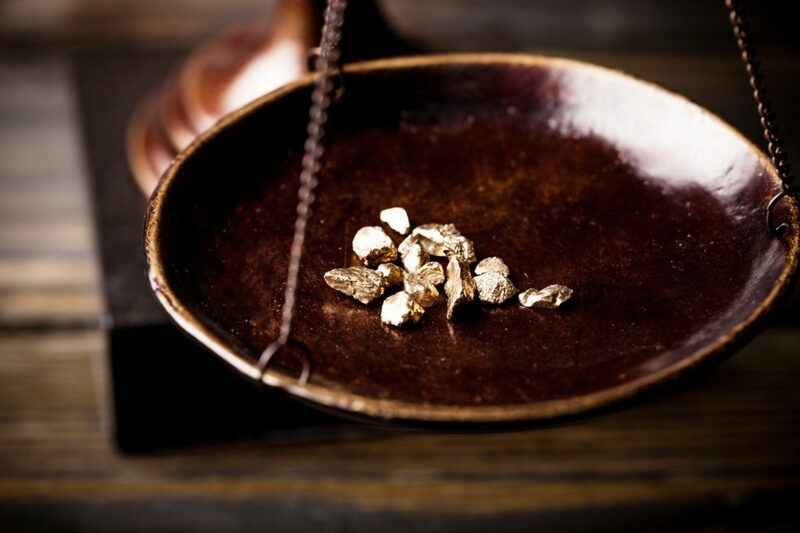 A March 9 BofA Merrill Lynch Global Research report outlined the positive backdrop for gold and highlighted a $1,400 per ounce year-end target for gold. "Gold has come under pressure in the run-up to the next Fed rate hike. While tighter monetary policy is not bullish, inflation and a range of uncertainties, including European elections and protectionism should support the yellow metal. As such, we see prices at $1,400/oz by year-end," the BofA Merrill Lynch Global Research report said. Bitcoin, the digital currency which is created and held electronically, recently hit new all-time highs. The recent strength in the virtual currency suggests a lack of investor confidence in fiat currencies, says analyst Michael Kahn in a Barron's article last week. Uncertainty is on the rise. Gold is a time-honored alternative to paper money, and has proven portfolio diversification benefits. The stock market is within spitting distance of its all-time highs and by most measures is overstretched and overvalued. Blanchard clients are using stock market strength to rebalance their portfolio by selling partial stock positions and reallocate that into tangible assets, including gold and silver. Learn more about the reasons it is important for all investors to diversify their portfolio with gold here.